1. 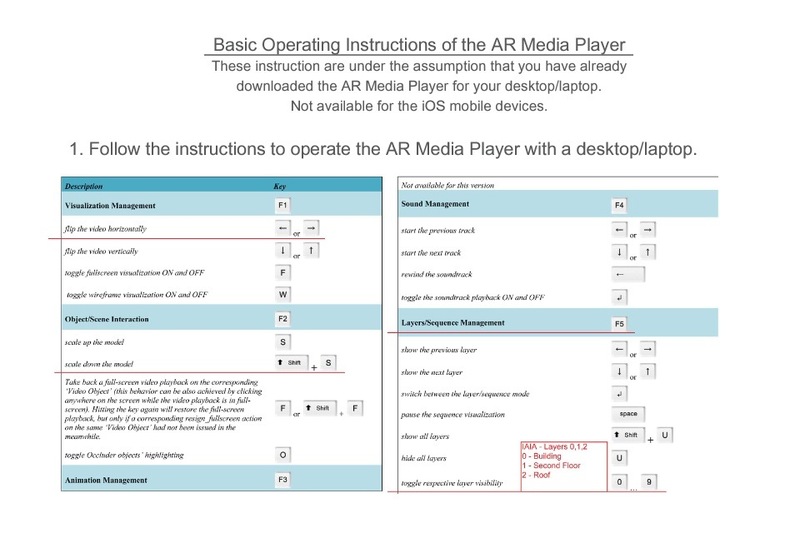 Download the AR Media file onto your PC/Mac. 2. Plug in your mobile device and open your iTunes library. 3. Open your iPhone/iPad through the iTunes library. 4. Select “Apps” from the menu at the top of the iTunes window. 5. Scroll down to “File Sharing” menu and click on the AR Player under the “Apps” menu. 6. Click on the “Add” button at the bottom of the “AR Player Documents” menu. 7. 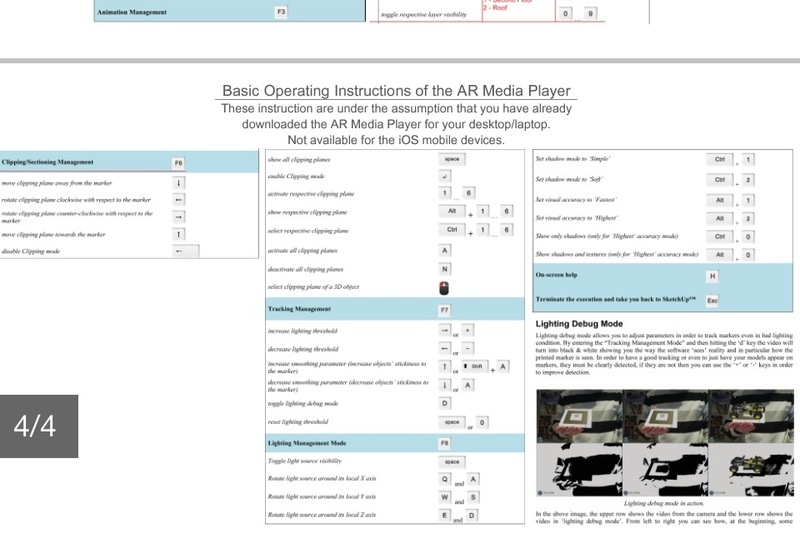 Search for the AR Media file , select and click the Open button. 1. Open your app on your device. 2. Select the Library icon at the bottom right (Looks like 3 bars with white dots in it). 3. Your Library will open up and press the Refresh button at the bottom left. 4. The model uploaded should pop up along with a message stating “1 model was added”. 5. Select the model and a menu will pop up with the projects information.